Air and Space Evidence, the world’s first Space Detective Agency, are initiating a new service using ‘spy in the sky’ satellite technologies to detect waste crime. This new service — called Waste from Space — is based on the company’s development of a semi-automated detection model that uses satellite data (and machine learning algorithms), which enables the company to offer an effective and commercially viable geospatial intelligence tool that can detect serious waste crime. Waste crime is increasingly causing significant damage to society — for example, in the UK alone, that cost is estimated to be more than a billion pounds a year and for all EU countries, that estimate ranges from 72 to 90 billion euros per year. Interpol, Europol and the UN have identified waste crime as one of the fastest growing areas of organized criminal activity and is increasingly recognized to have the potential to rival drug trafficking in terms of scale and profits. One Italian mafia gang is estimated to make as much money annually from waste crime as the global revenue of the McDonalds fast-food restaurant chain. More than 1,000 illegal waste sites spring up in England each year. A single site discovered in Northern Ireland is believed to contain 1.5 million tons of illegally deposited waste, which is significantly more municipal waste than the entirety of Northern Ireland’s production in one year (i.e., 969,157 tons in 2015 to 2016). Ray Purdy, a Director of the company, said that waste crime is highly lucrative — and can also be hard to detect. Governments need new investigatory approaches because at the moment they are several steps behind waste crime gangs. Air and Space Evidence will offer a much needed, innovative intelligence gathering and analysis service to governments, whereby the company can identify waste crime that Governments are not aware of, bringing immense value to their work and enabling them to catch more waste crime gangs in the act. Professor Ray Harris, also a Director of the company, noted that waste crime can cause environmental damage to surrounding land, air and water and poses a risk to human and animal health. Living near an unlawful waste site can also ruin people’s lives. The company is aiming to use cutting edge space technology to significantly reduce the scale of the waste crime problem. Why is waste crime happening? Criminals are short-changing economies by exploiting the high costs of legal waste management (e.g. landfill tax avoidance). What makes up the £1 billion a year figure in the UK? This consists of money lost from tax evasion, lost profits to legitimate industry and clean-up costs. 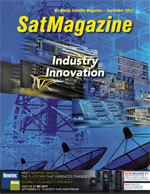 How can satellites detect waste crime? Modern satellites can see objects as small as manhole covers, at nearly any location on Earth at nearly any time. Company analysts can look back into the past using specialist data archives and undertake pro-active intelligence gathering, identifying operational unlawful sites using tasked satellite data and analysis algorithms. Enabling successful early interventions (while problems are manageable) will catch criminals and enable governments to drastically reduce operational costs and environmental hazards. How does the firm’s detection product work? Finding illegal waste sites is a bit like finding a needle in a haystack. They can be concealed, be different shapes and sizes and be in a wide variety of locations. To tackle this, the company combined a variety of techniques from radar and optical satellite sensors, aided by mapping data, to discriminate standard land use types, concentrating on anomalies. Air and Space Evidence effectively focused on finding the needle by eliminating the haystack. This technique discards the vast majority of items in the search area and allows the company to isolate a realistic number of suspicious areas for further close-up satellite investigation. In the product trials, 71 percent of sites identified as potential illegal waste sites were proved to be so. 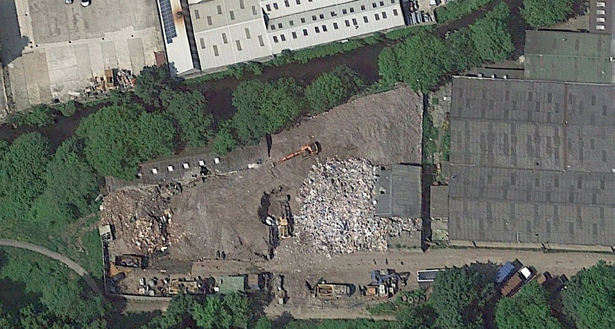 Another ASE identified illegal waste site. Image is courtesy of ASE. 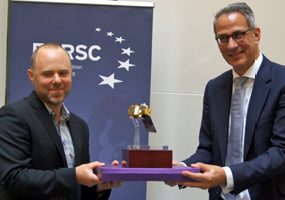 The EARSC competition “European EO product of the year” rewarded a company which has developed a product that will support the implementation of the Sustainable Development Goals (SDGs) at national, regional and/or local levels, and the monitoring and reporting against the global indicator framework. The SDGs are being launched with an emphasis on collecting data that will be extensive and specific enough to serve these needs. European Earth Observation industry can help achieve the SDGs by providing critical information on natural resources, government operations, public services, and population demographics. That’s why EARSC decided to focus its 2017 Product award on the industry contribution to SDGs. During the process, 15 companies became interested in the award and seven of them forwarded to the EARSC the required documentation. The EARSC recognized Air & Space Evidence’s Waste from Space as winner of the context of the commercial product of the year, which support the monitoring and reporting against SDGs in the most innovative way. 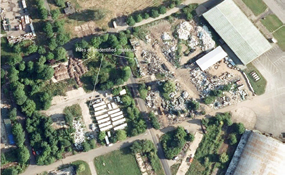 This is a new geo-information product which offers a much-needed intelligence gathering and analysis service to governments, investigating and providing evidence of one of the most significant global environmental problems, unlawful waste dumping sites. ASE receiving the EARSC award. The product is based on a semi-automated detection model using Earth Observation data, enabling the company to offer an effective and commercially viable geospatial intelligence tool that can detect serious waste crime. 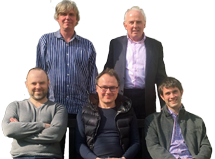 Air and Space Evidence is an academic spin-off company, set up by two former colleagues at University College London – Ray Purdy (a lawyer) and Ray Harris (an Earth observation expert). Other group members have military intelligence, business and environmental career backgrounds. The Company have undertaken investigations using satellite imagery for individuals, companies and governments since late 2014. They have worked on property, environment, crime and insurance cases. 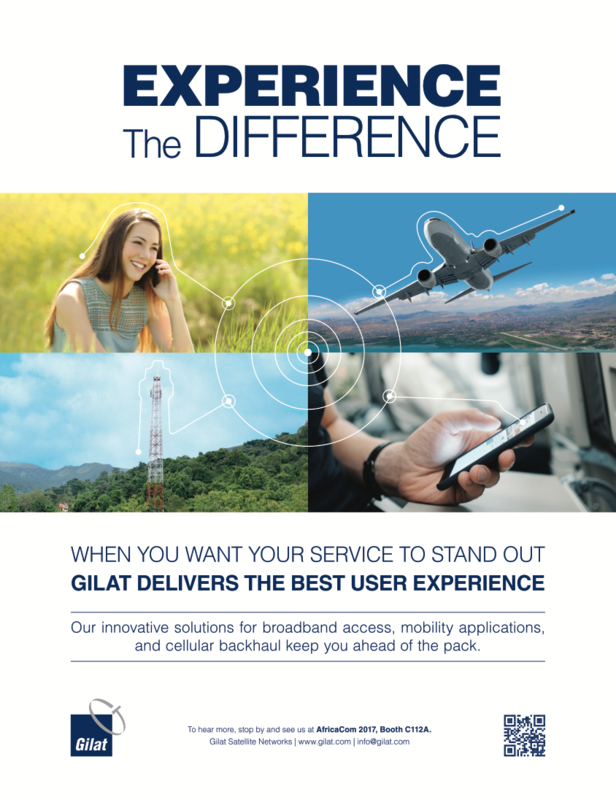 The company was named by the leading US business and innovation magazine, Fast Company, as one their 12 World Changing Company Ideas for 2015.